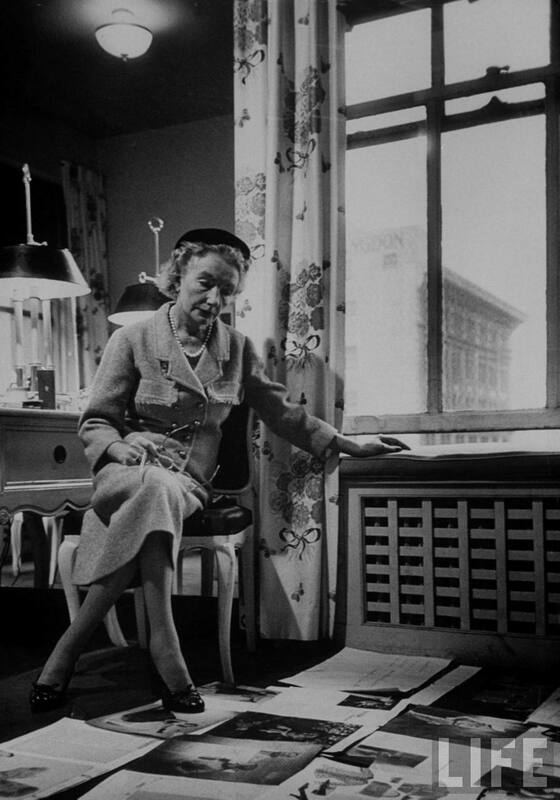 Carmel Snow at the Harper’s Bazzar offices, 1952. Taken by Walter Sanders. 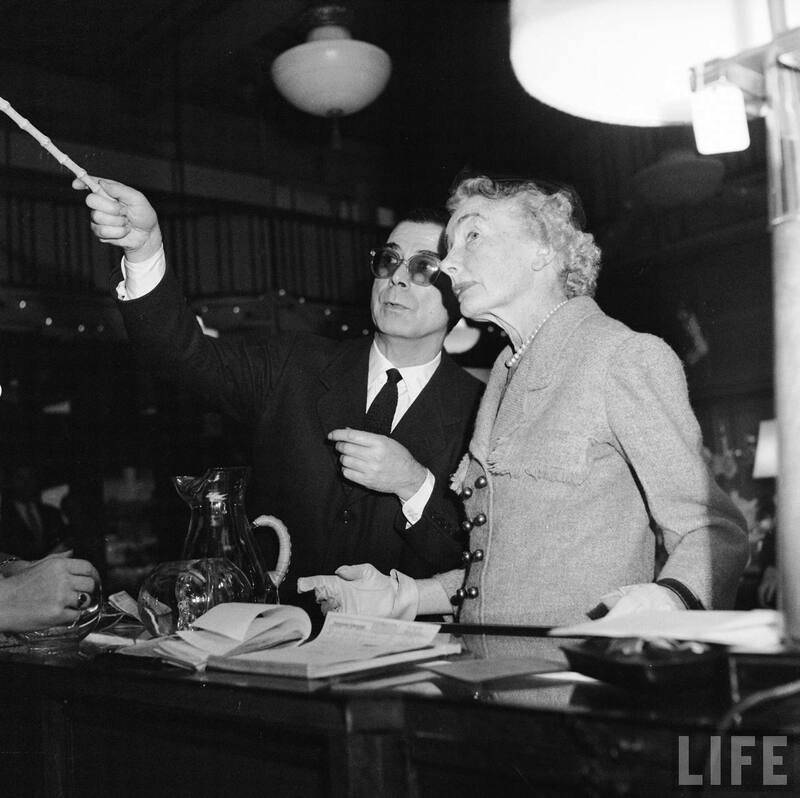 When I found these pictures of Carmel Snow, Editor-in-chief of Harper’s Bazaar from 1934 to 1958, I will admit that I did not know very much about her. With a little research, I discovered that I wasn’t alone. 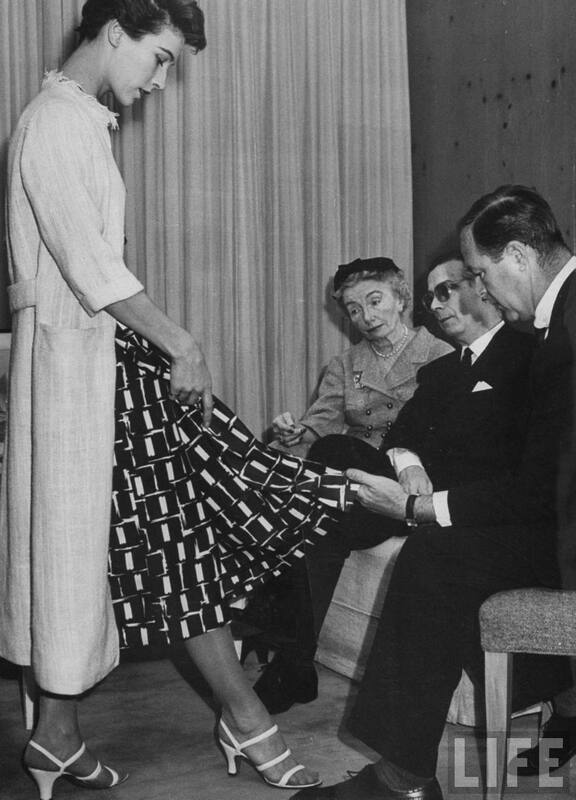 It seems as though fashion has largely forgotten Ms. Snow, who existed in an era before star Editors like Vreeland, Wintour, Bailey or Alt, but what I discovered was quite a remarkable story about a remarkable woman that bears repeating. Carmel Snow was at Vogue from 1923 until 1933 as an editor, and resigned largely because she wanted to make the fashion editorial more more innovative: take it out of the formal studio setting with artificial light, experiment with shooting on location, etc., and was met with resistance. She joined Harper’s Bazaar a month after her departure from Vogue. 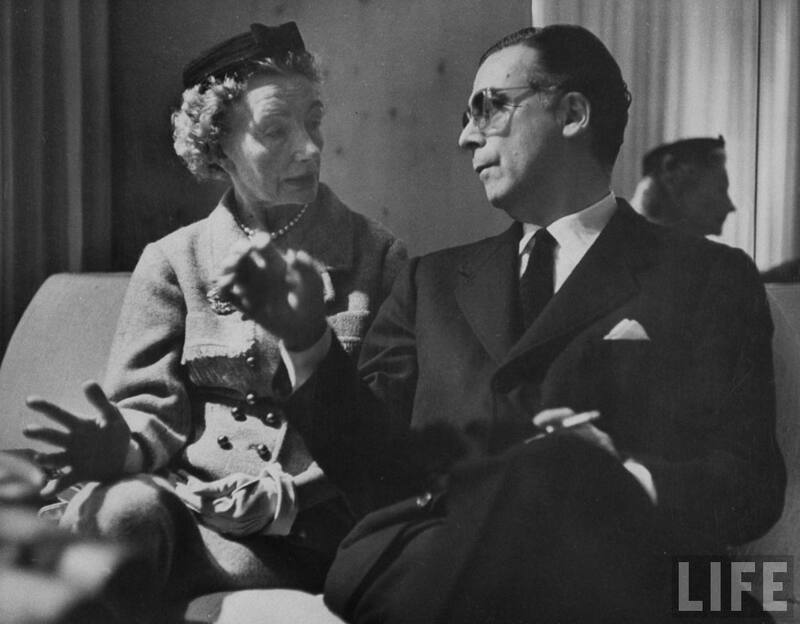 Her former mentor and boss, Conde Nast, considered it a betrayal and never spoke to her again. Harper’s Bazaar, under Snow, became the first fashion magazine to shoot fashion outdoors and the first to show a model in motion, in 1933. Can you imagine if all of today’s editorials were still shot in-studio? 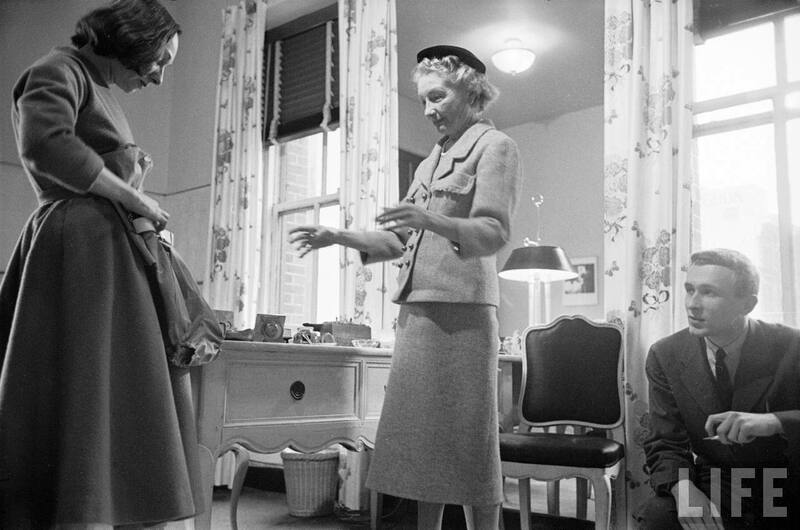 Snow also discovered Diana Vreeland at a party and brought her on as a fashion editor at Harper’s. 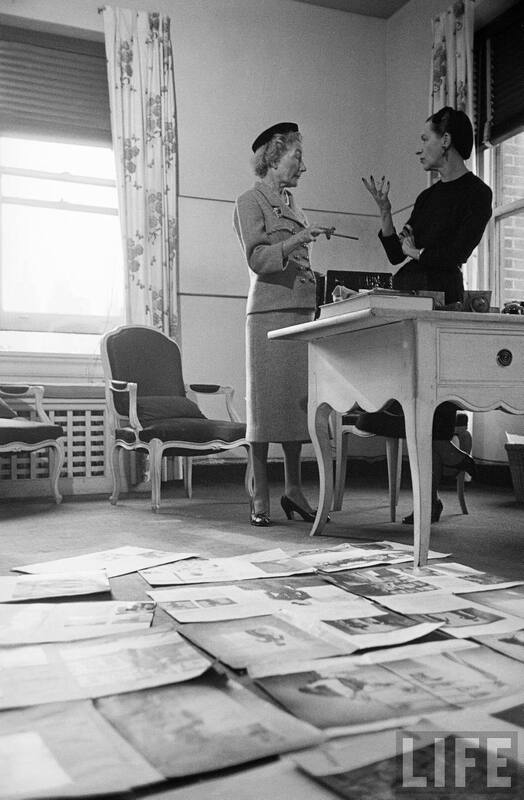 Vreeland of course went on to be the Editor-in-chief at Vogue from 1963 to 1971. The woman worked hard and was definitely ahead of her time. She didn’t marry until her 30s, had her three children well into her 40s, working through her pregnancies and after her children were born. She didn’t resign until she was well into her 70s. 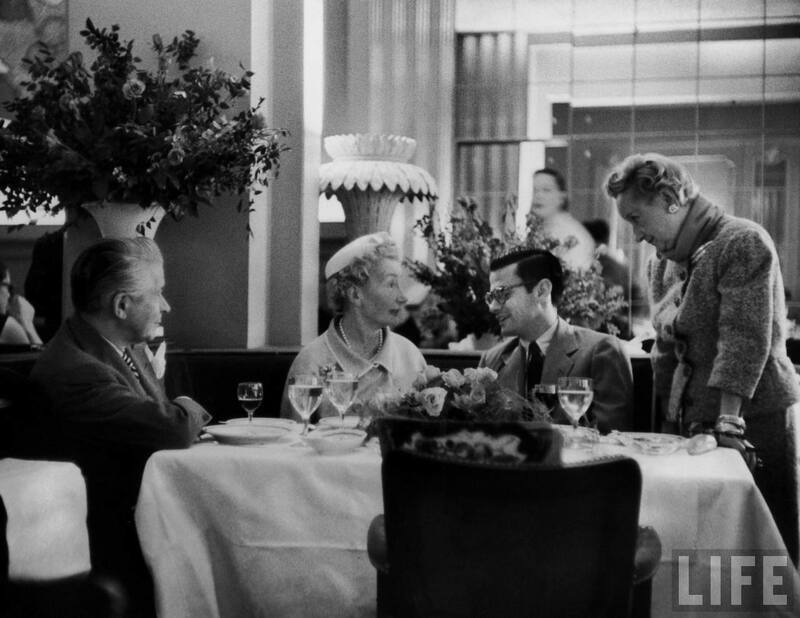 She rarely slept or ate, but was very fond of the three martini lunch. She had something of a reputation of nodding off at fashion shows after one too many cocktails. Her drinking accelerated as she grew older. 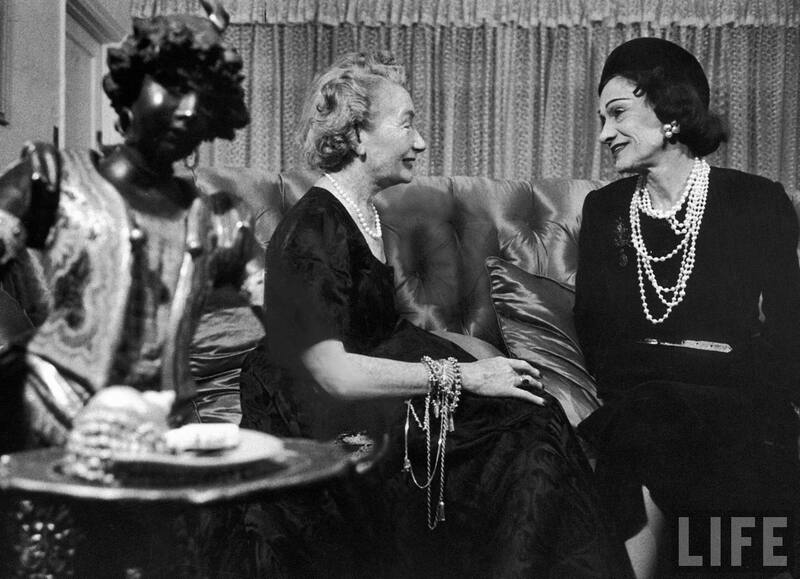 She definitely had her eccentricities: she was never without her pearls, dyed her grey curls a pale shade of blue or lavender, snipped the labels of her couture to avoid customs fees, and though married, was most certainly obsessed with Cristobal Balenciaga (who was most certainly gay). Snow and designer Cristobal Balenciaga, 1952. Taken by Walter Sanders. 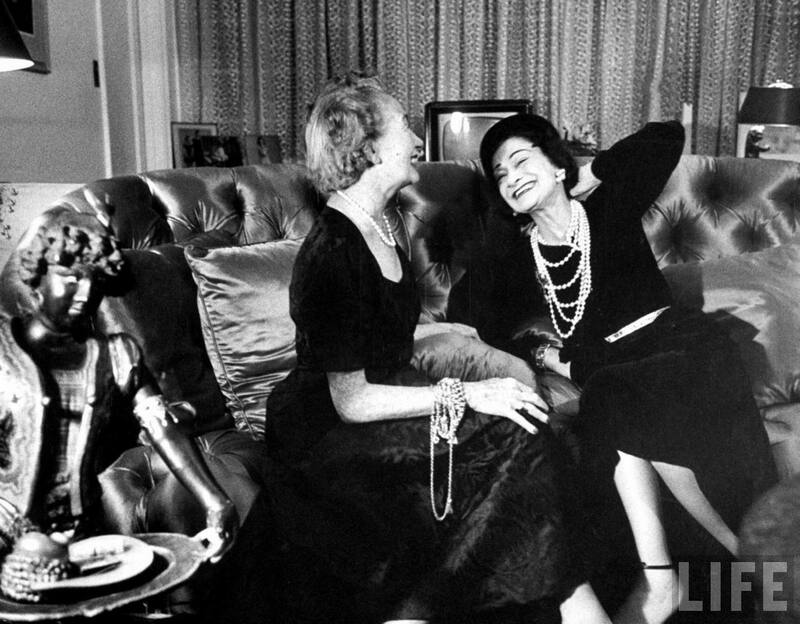 Snow and Gabrielle “Coco” Chanel, 1952. Taken by Walter Sanders. Snow with Alexey Brodovitch (kneeling), 1952. Taken by Walter Sanders. 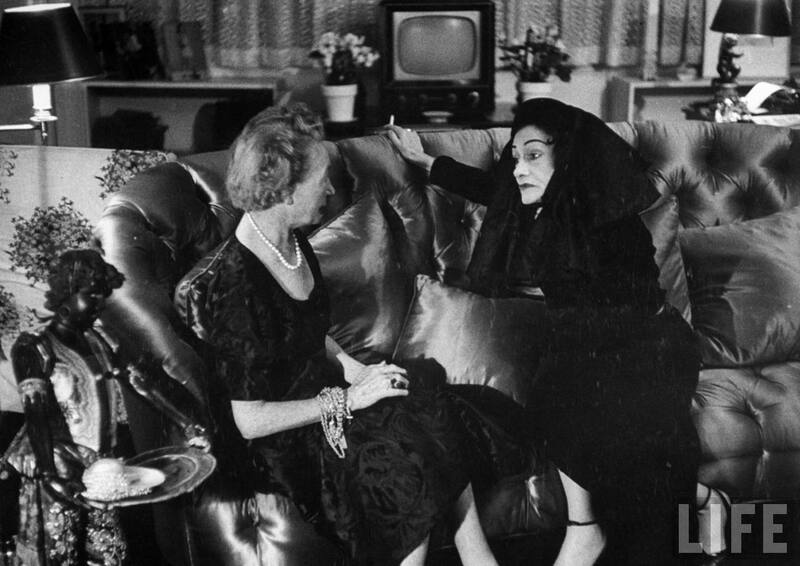 Snow with Diana Vreeland, 1952. Taken by Walter Sanders. 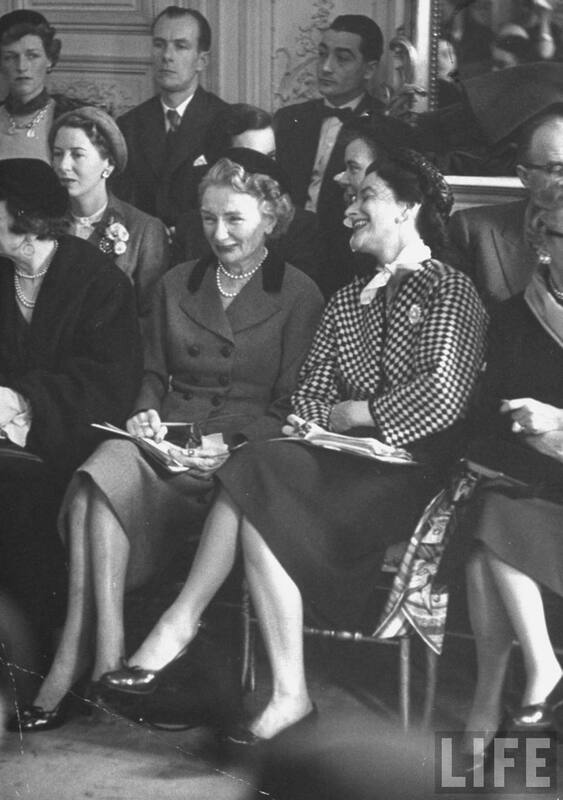 Snow with Harper’s Bazaar Paris editor Marie-Louise Bousquet (second from left) at a press showing for fashion designer Elsa Schiaparelli in Paris, 1951. Taken by Nat Farbman. 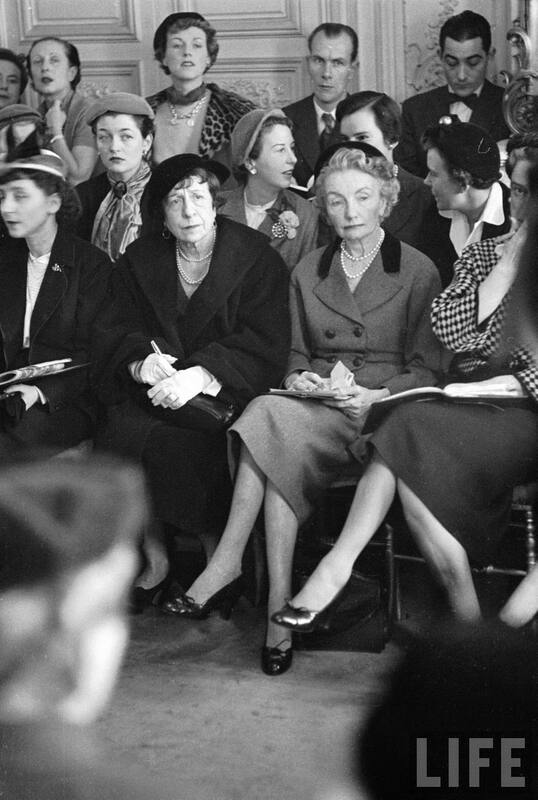 Snow with US Vogue fashion editor Bettina Ballard (right) at Schiaparelli in Paris, 1951. Taken by Nat Farbman. Snow in 1953, taken by Al Fenn. A Dash of Daring: Carmel Snow and Her Life In Fashion, Art, and Letters by Penelope Rowlands. Officially added to my shortlist! 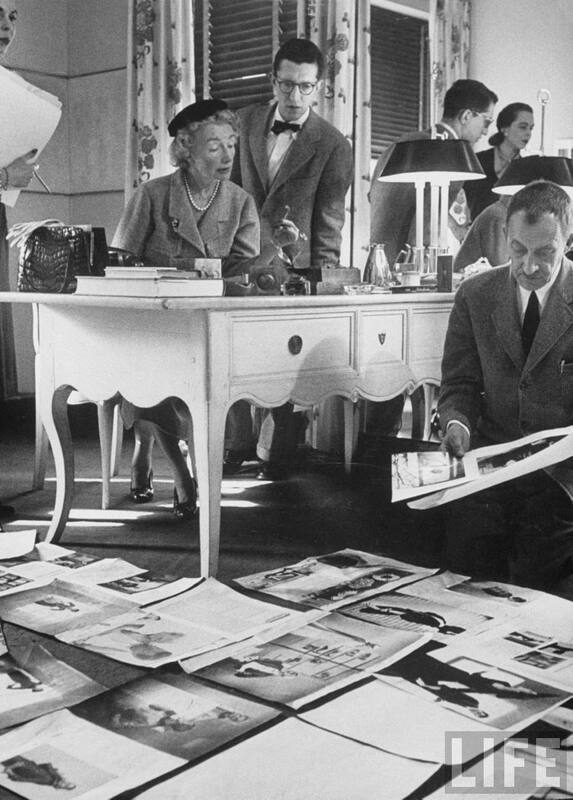 A charming article from Life Magazine, “Reporting Paris Styles is a Business: Vogue and Harper’s Bazaar cover Openings,” details Paris fashion week in 1937 and the competition between Carmel Snow and Vogue editor Edna Woolman Chase. Previous Persons of the Hour can be found here. I’ve read the biography. It’s good fun. Glad to hear. I’m definitely looking forward to it! Great post and valuable information. Thanks for sharing! You are currently reading Woman of the Hour: Editor Carmel Snow at Quite Continental.